It’s the season for grilling—time to share a simple, herb-related trick with the grill master at your house. 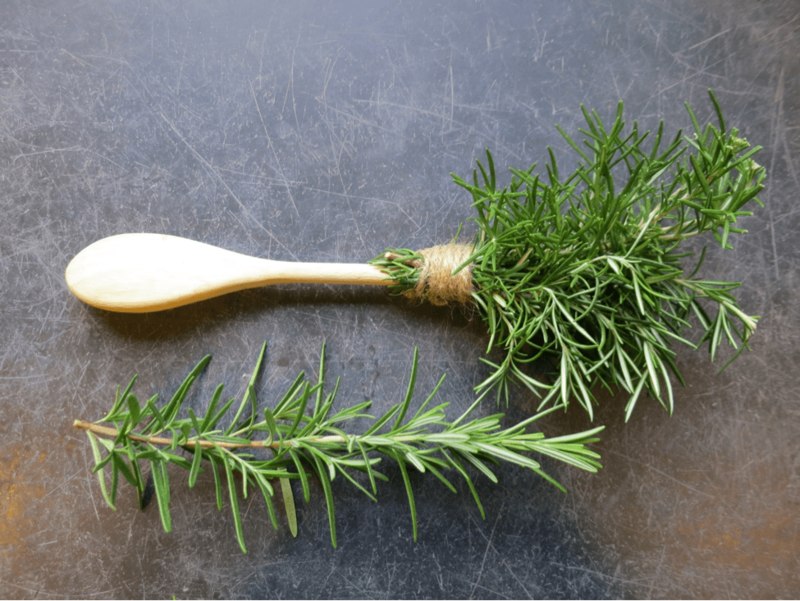 Fashion an herb brush out of a wooden spoon, a bit of kitchen twine, and freshly-snipped twigs of rosemary. Use the aromatic brush to flavor roasting meats like lamb, chicken, or pork—just dip it into marinade or olive oil and apply liberally. Another rosemary trick: Try threading chunks of meat onto rosemary skewers for a delicious infused kabob. Genius! 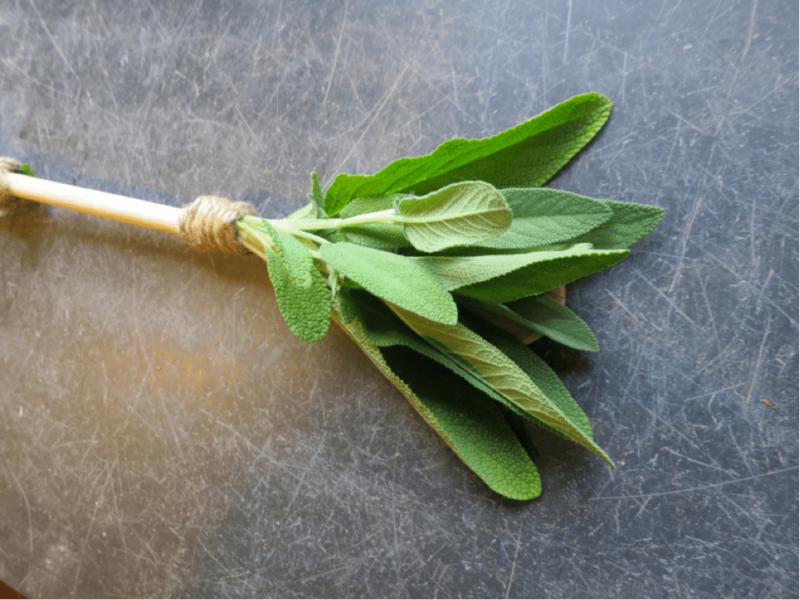 A beautiful plant in the garden, sage is most familiar as the flavoring in stuffing—but it makes a great grill brush, too! A sage brush is perfect for sweeping marinades onto grilled chicken. After the meat is cooked, snip the herb into softened butter to create sage butter to serve along with it at the table. The genus Salvia comes from the Latin word salvere, “to save or to heal,” hence this herb’s connection to long life and good health. A wonderful wish, indeed! After using your tarragon brush on grilled fish, snip the herbs over vegetables as a garnish. 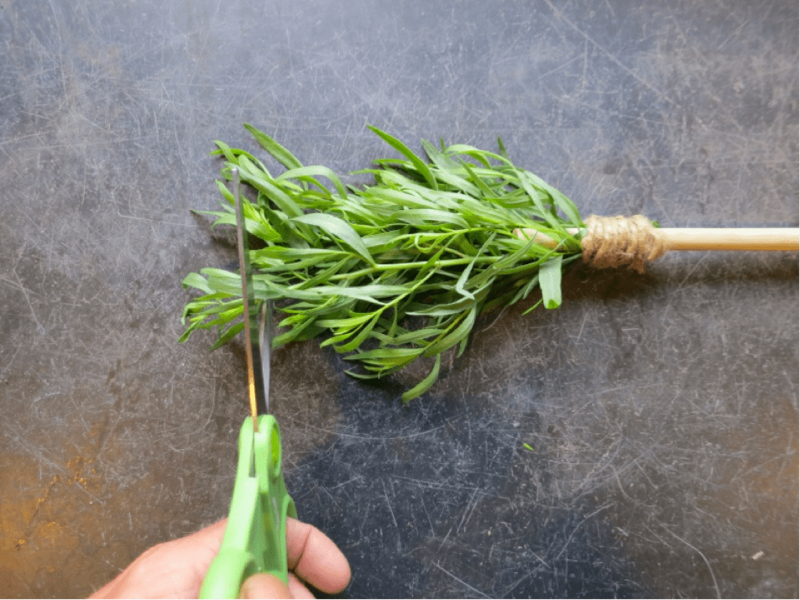 French tarragon easily becomes a grill brush for basting butter or marinades onto grilled fish. Just before serving, snip the “brush bristles” atop steamed new potatoes for a flavorful finishing garnish. Join us for more tips, plus fun, facts, and fragrance at the Garden’s Herb Garden Weekend, July 27-28!